The fourth in a series of posts designed to improve understanding of digital supply chain networks and the technologies that drive them. Having grown up with Amazon and Uber, it’s no wonder that Millennials expect more from their B2B partners. “The new generation expects a higher level of transparency,” says Corey Kettner, director of Connected Asset Services for Ziegler CAT, based in Minneapolis, MN. “They know the data is there and they feel they should be able to access it.” Yet balancing human touch with the digital touch is a challenge for many dealerships that have historically cemented relationships face-to-face, over a meal or watching a sporting event. A key difference between a traditional supply chain network and a digital supply chain network is understanding the customer in a more sophisticated way by utilizing data analytics and advanced technologies. “A big focus with our digitalization efforts is on making ourselves easier to do business with and being a trusted partner. Transparency is a way to do that,” adds Kettner. His position was created in the last year to give priority and direction to digitalization efforts throughout the company. While Kettner sees value in allowing customers to have more visibility on parts and machine delivery, a bigger focus is on service. The B2B sales process is typically more complex than for consumer goods. Digital solutions may not be possible for all transactions. At Illini Hi-Reach potential customers can find out what equipment is available to rent online, but the sales process is left to the sales staff. The company also wants to talk with customers to ensure that operators are properly trained on the equipment. According to Bartecki technology helps drivers keep customers informed on the status of their rental machine deliveries. In a more advanced supply chain network, customers would have full visibility of where the truck was on the route and its expected arrival time. 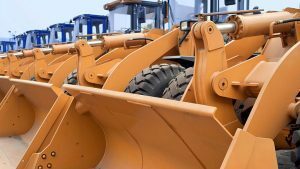 Kettner also wants to use telematic data to help customers manage their equipment assets better, determining the best time to overhaul or sell used. “We are driving to another level of customer loyalty than hasn’t been possible in the past,” he adds. Research supports that B2B buyers are increasing their expectations. In a recent McKinsey survey of 1,000 B2B decision makers, lack of speed in interactions with their supplier was the No. 1 “pain point,” mentioned twice as often as price. Some 86% of respondents said they prefer using self-service tools for reordering, rather than talking to a sales representative. The stakes are high for companies who ignore customer expectations. Dealers and rental firms will likely need new departments, processes, and resources to effectively implement customer-centric digital networks. New metrics will be needed to measure success. This kind of change is difficult but the benefits are also becoming clear. A study by the Center for the Global Enterprise found that that successfully implementing an enterprise-wide digital supply chain reduced procurement costs by 20%, reduced supply chain costs by 50% and increased revenue by 10%. It may just be the edge you are looking for.